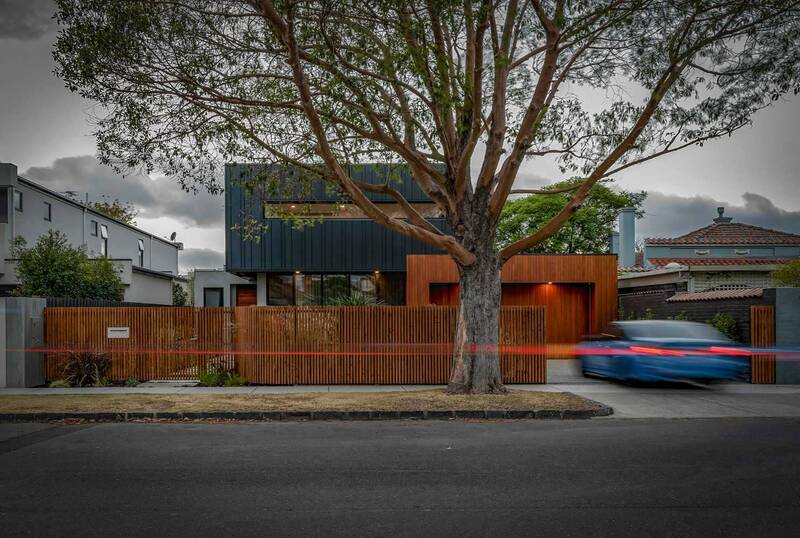 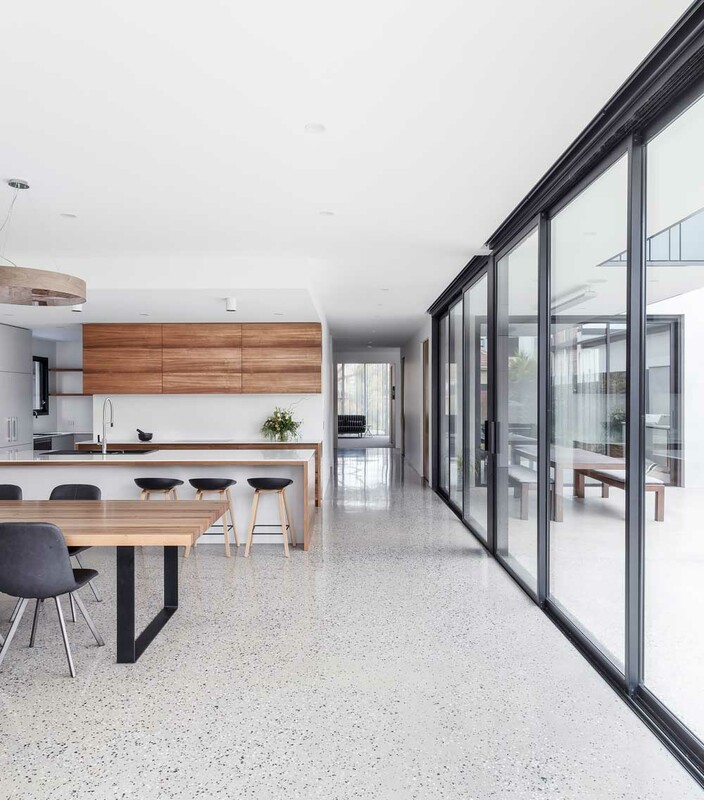 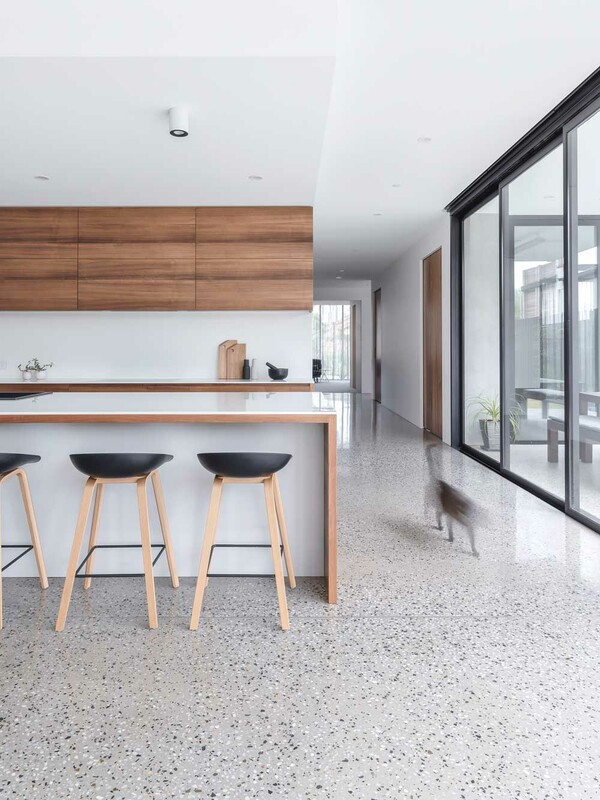 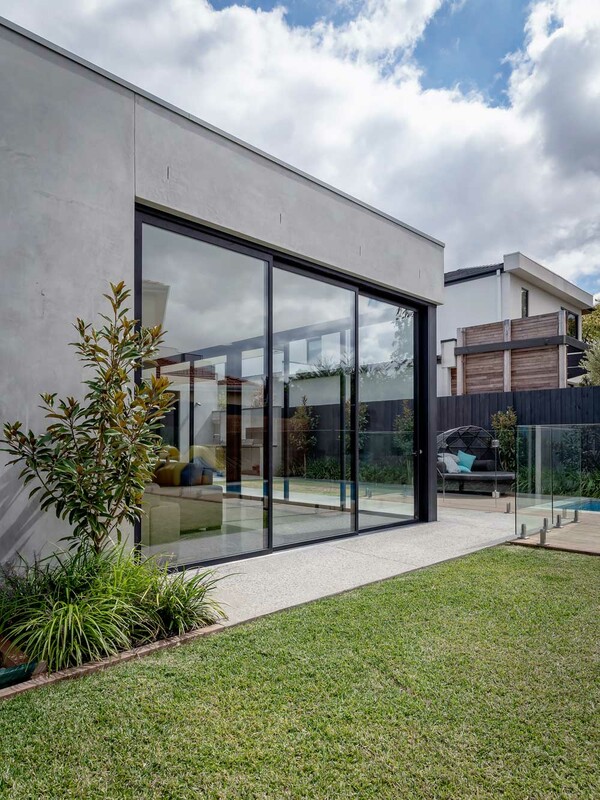 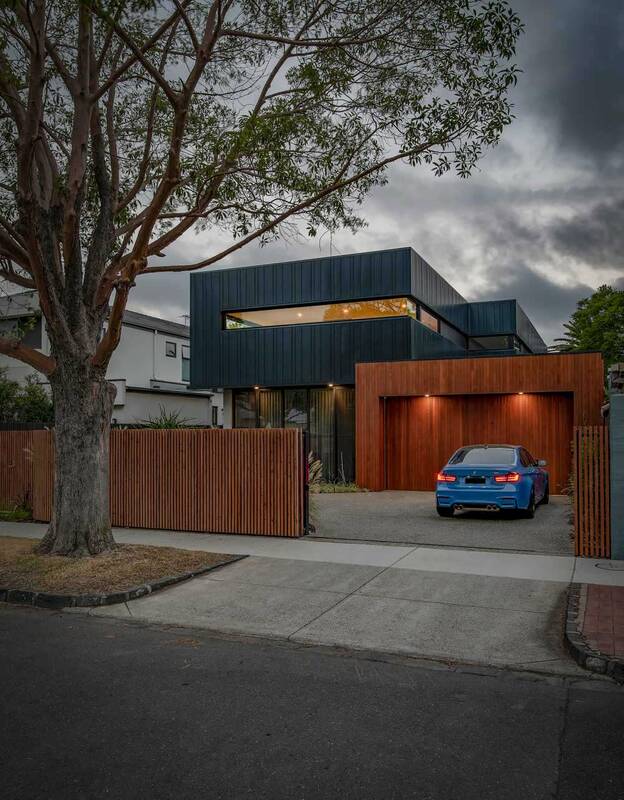 A modern family home designed to cater for the needs of a young family of five. 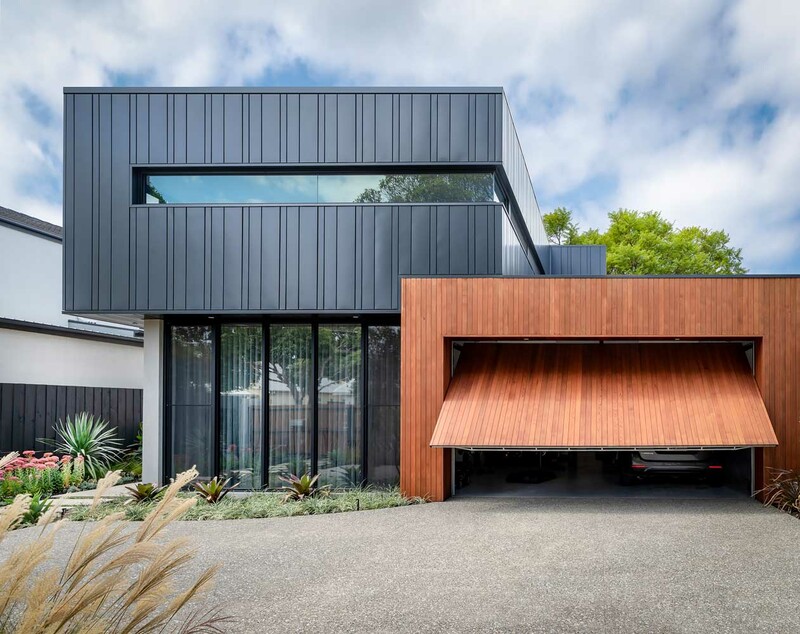 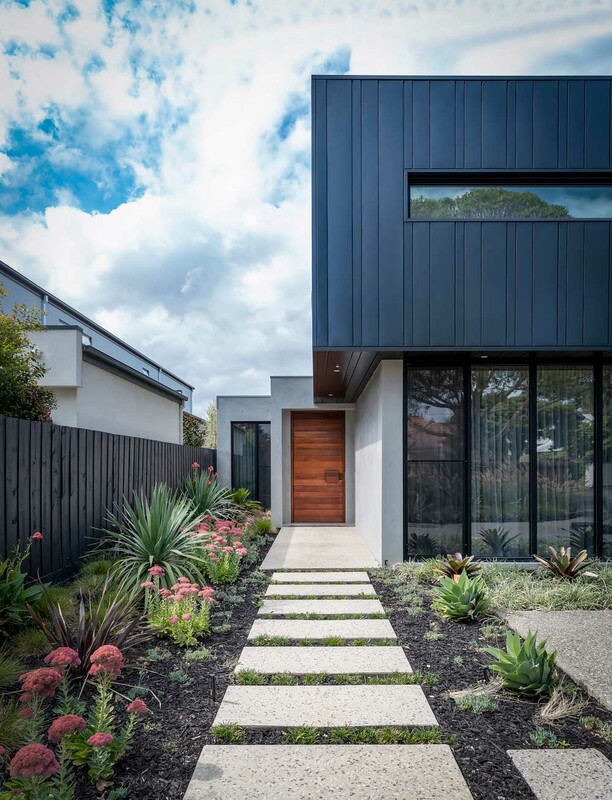 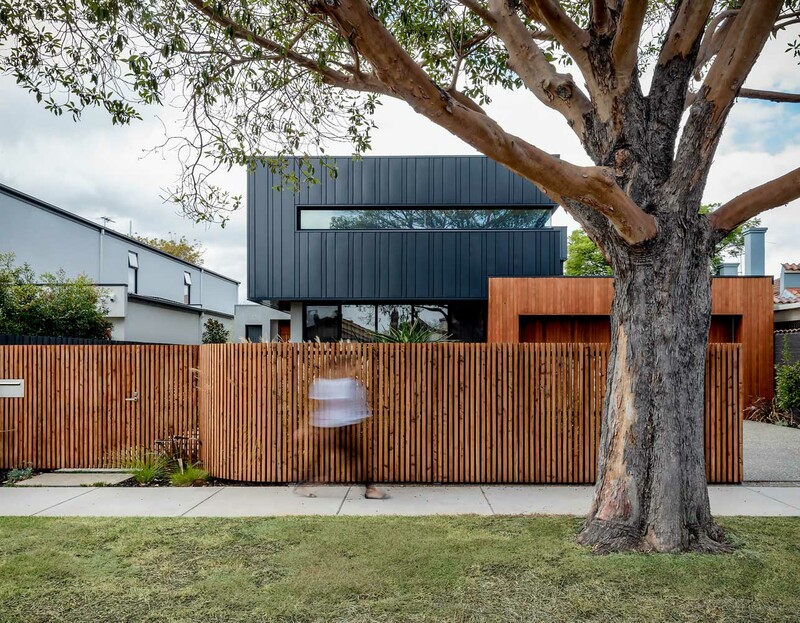 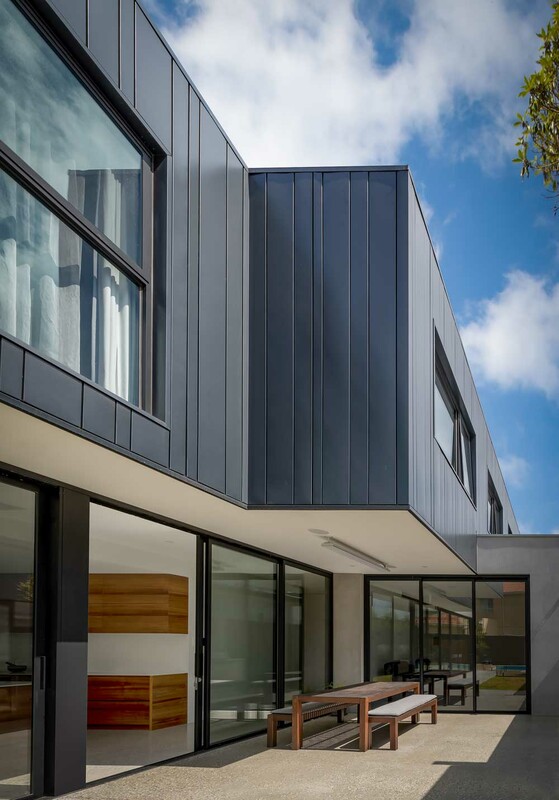 The brighton house is characterized by colorbond profile cladding, commercial windows, cedar timber cladding and concrete render. 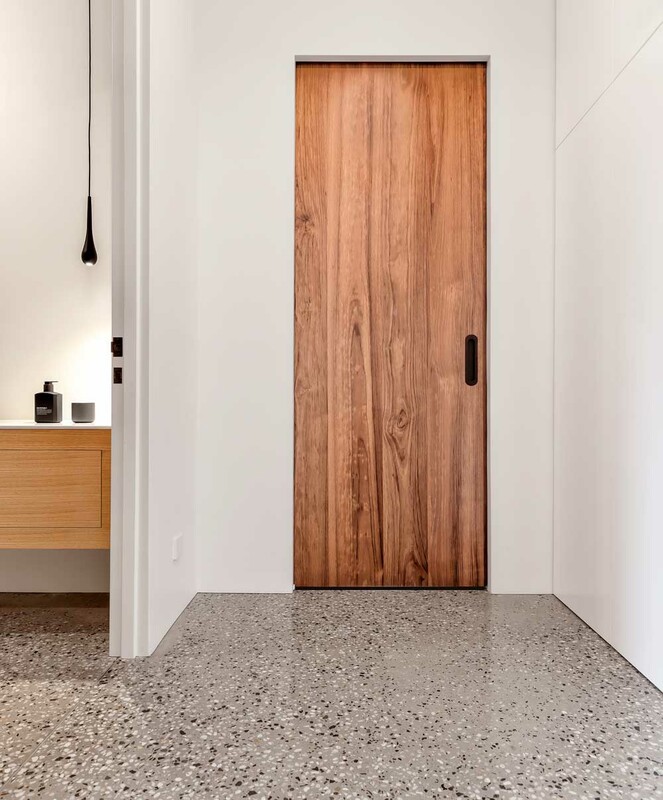 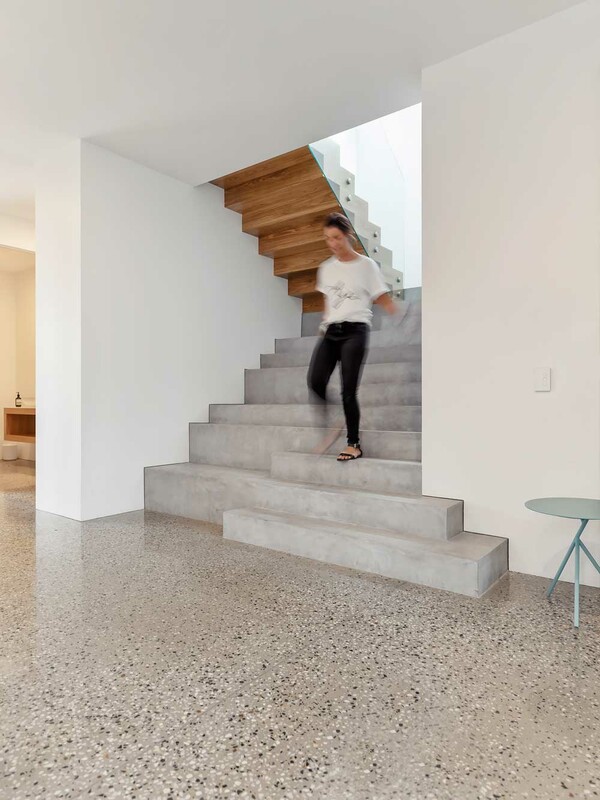 While internally abundant natural light is welcomed throughout with features of a concrete and timber staircase and concrete hyper flooring. 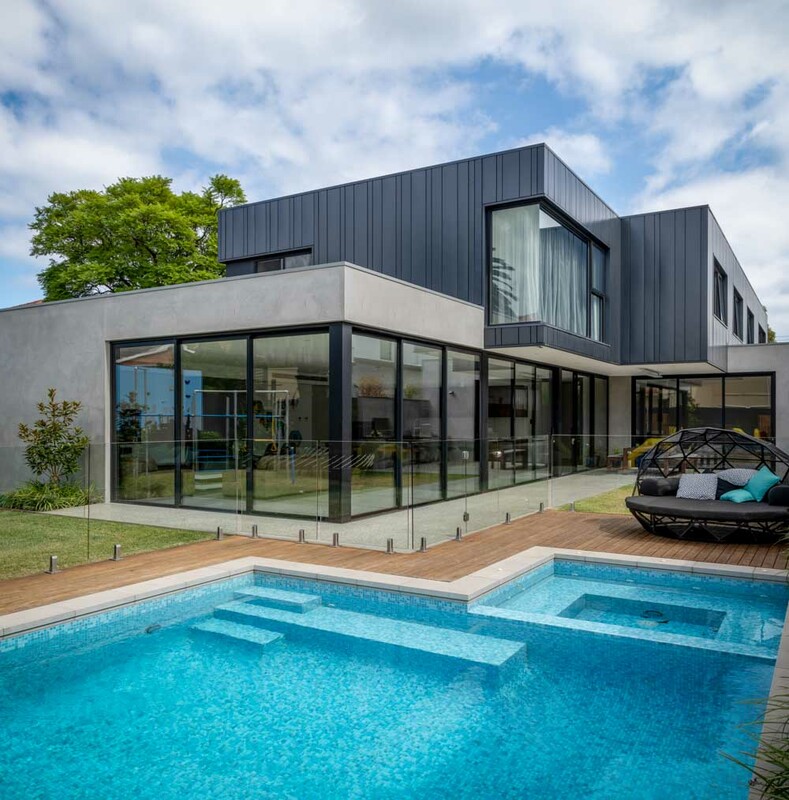 The ground floor accommodates the open plan living and lounge, with the pool being a feature, prominent from the kitchen, meals and lounge. 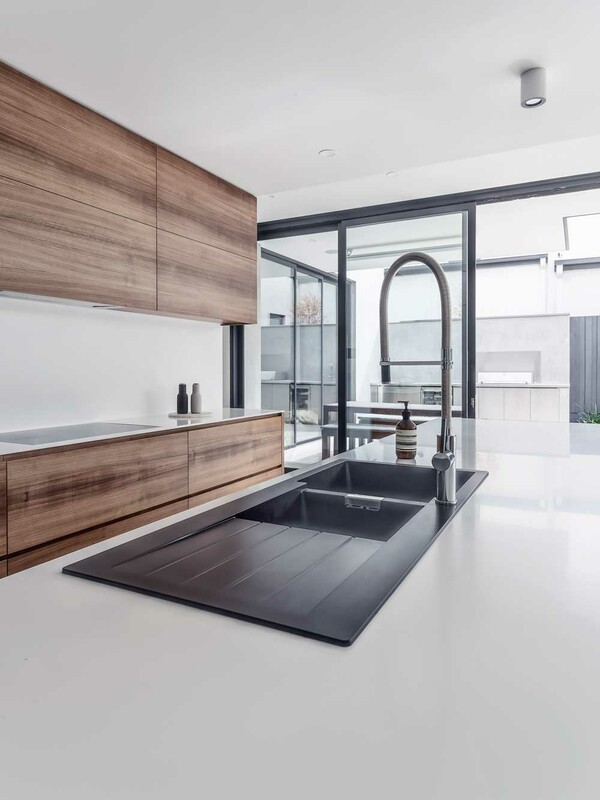 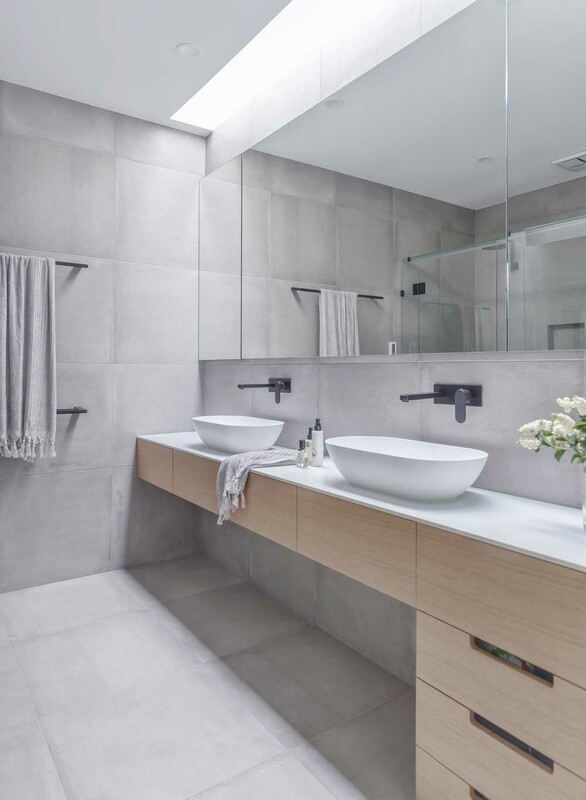 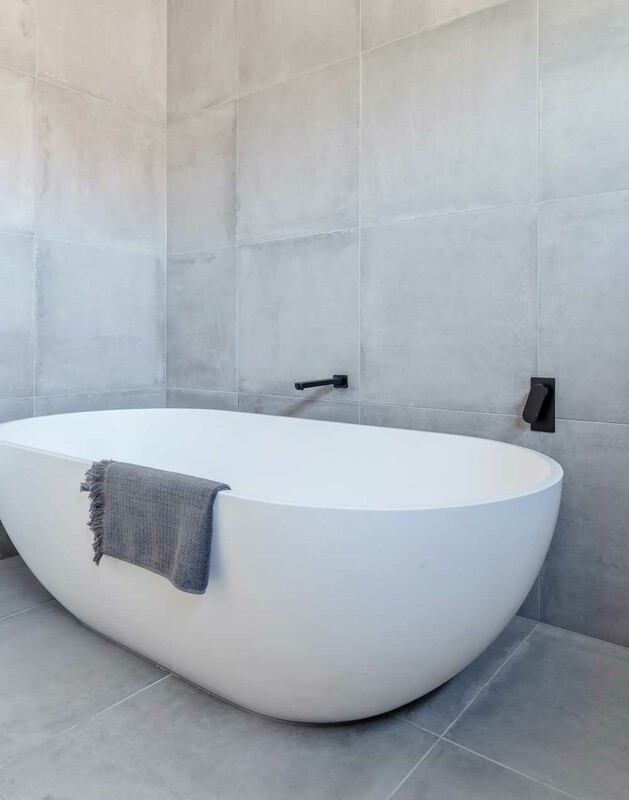 The upper floor accommodates a master domain, encompassing a large walk in robe and ensuite and the children’s three bedrooms, bathrooms and large rumpus room.